No more signin boards collecting dust in your basement or attic! A signin pillow is both great-looking and practical! 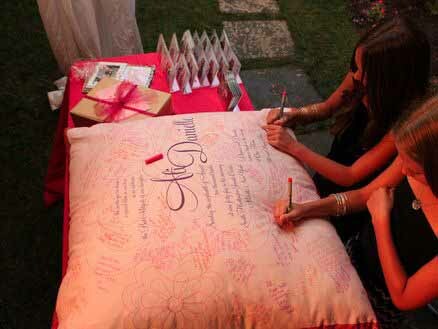 Your guests may sign a finished pillow, or our fabric mounted onto a board for the party. We make it into a pillow afterwards. Durability - we use digital printing, not silk screening or iron transfer - your image will not peel or crack off. Types - throw pillows, heavyweight floor pillows and beanbags too. Many sizes available. Options - sign a finished pillow, or create a fabric signin board for the party that we make into a pillow afterwards. Print an invitation, a name/date or use your logo. 2-sided pillows – use the same image printed on both sides, or an invitation on one side & a logo on the other! Color Coordination - if you choose one of our standard designs for the back, we print them in YOUR colors. Natural Fibers - we use cotton - no synthetics! 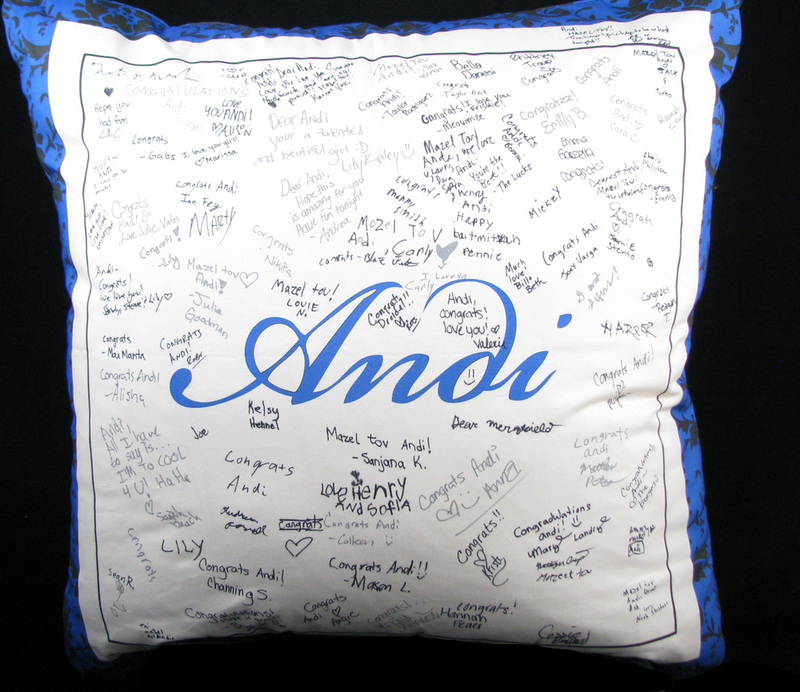 EMAIL US AT INFO@THEPIECEDPALETTE.COM TO DISCUSS YOUR SIGNIN PILLOW!